Oktoberfest might be over in Munich, but it’s going strong in Glen Ellyn. The McAninch Arts Center presents Oktoberfest with a New Philharmonic Twist Oct. 11 and 12. Performances will be at 8 p.m. Oct. 11 and at 3 p.m. Oct. 12 in the Mac. 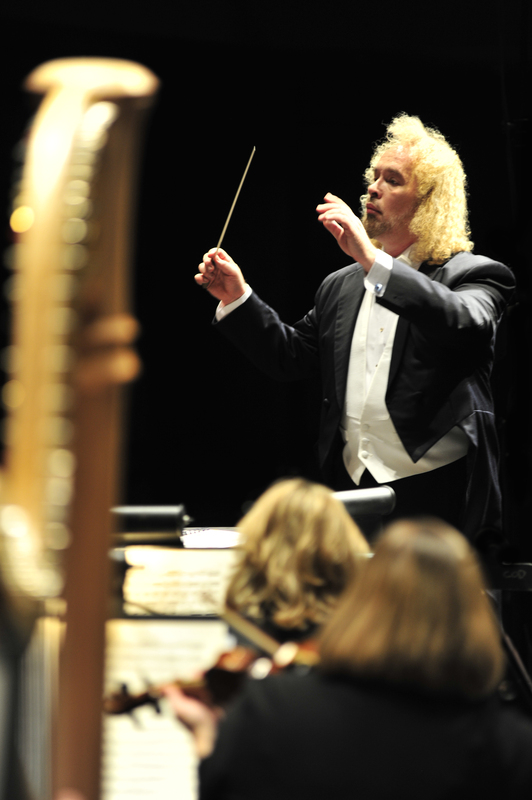 Under the direction of Maestro Kirk Muspratt, the New Philharmonic will present a program of popular works by German composers and sing-alongs. A pre-show Oktoberfest meal with an oom-pah band will complement the meal. Concertgoers will even be allowed to bring their beer into the concert hall. When Muspratt noticed audiences liked occasions and celebrations, he came up with this idea. His goals are lofty — he wants people to leave feeling thoroughly entertained, and having learned something about the music they heard. While some might argue that the beer is the centerpiece of the evening, Muspratt believes that it’s the timeless, beautiful music that will be the crowning jewel. “I don’t know how many polkas I’ve got on that concert, but there are many different kinds of polkas,” he said. “There are French polkas, there are marches you could dance to and not march to. They’re from the age where people danced all the time. As a part of the New Philharmonic’s mission to showcase some of the area’s most talented young musicians, 16-year-old Ben Graves of Wheaton will be featured, in a solo performance of Van Goens “Scherzo” op. 12 on cello. For an extra $30, guests can enjoy a pre-show outdoor Oktoberfest dinner of traditional German fare including grilled, split bratwurst simmered in beer and onions with sauerkraut; German-style potato salad with bacon dressing; braised red cabbage with apples and Vidalia onion; homemade fresh herb spaetzle with brown butter and pretzel rolls; traditional apple strudel with caramel drizzle and crushed pecans and an assortment of German beers. Dining music will be provided by Chicago oom-pah band, Die Musikmeisters.